Basic Calisthenics system with handrail. The exchange or addition of individual elements of the system is possible here. Our best-selling and most-used combination in Germany and Austria. 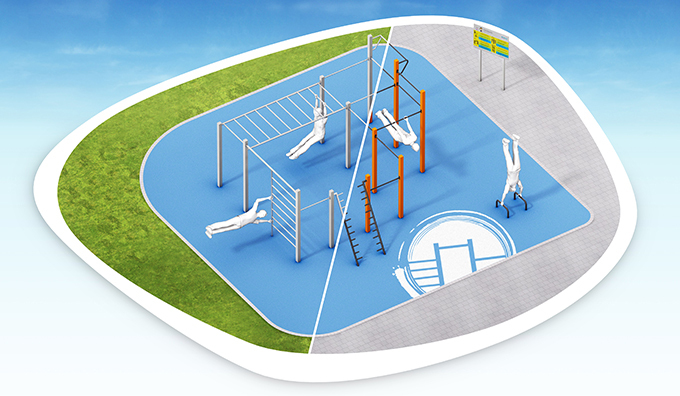 Medium calisthenics combination, similar to the all-round system, but without bars. With push-ups / row-ups and handrails. 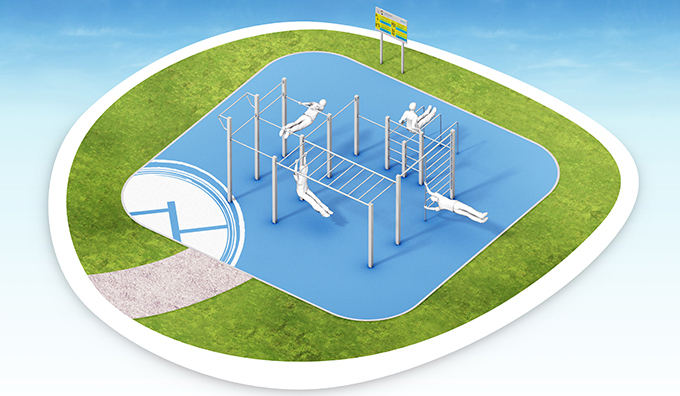 The large Calisthenics-Parc is suitable for all training variants. 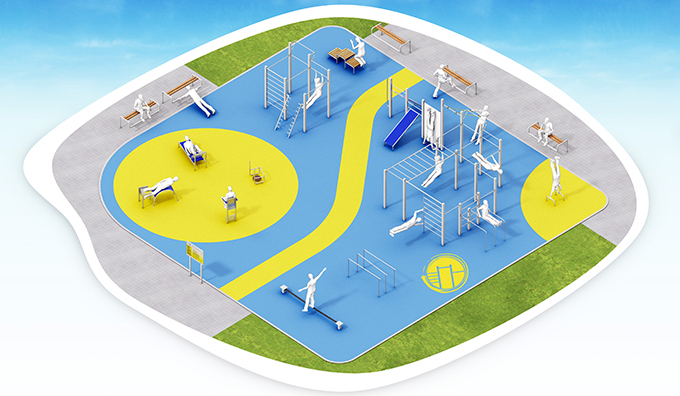 Included are handrail wall, suspension rings, handrail bracket, double oblique bench, squat platform, bow-ladder, double bars with different distances and two benches for warm-up and resting. 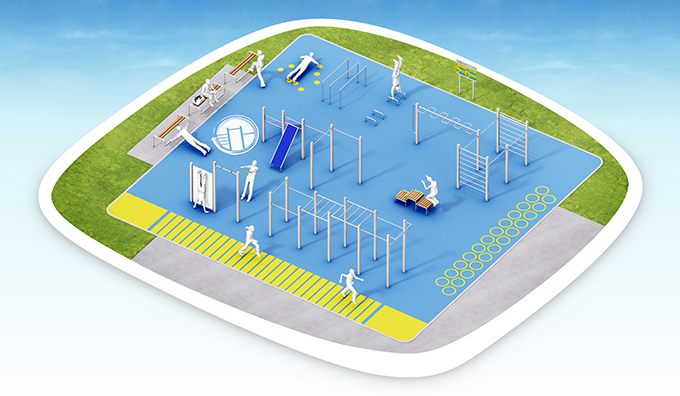 Similar to the large Calisthenics-Parc, but without double bench and handrail wall. For this, with the Hangelleiter / Monkeybar, Dipsbarren, Slackline and another bank to warm up and rest. In general, it is, of course, always possible to replace individual elements of the system or to add additional stations or devices, so-called add-ons. The XL variant of our Calisthenic-Parcs is generously designed and includes double oblique bench, handrail bracket, two dips bar, squat platform, handrail wall, suspension rings, altogether 3 benches for warming up and resting. An additional station is included, the Calisthenics-Basic plus push-ups. A slightly different layout and other features in this XL variant. 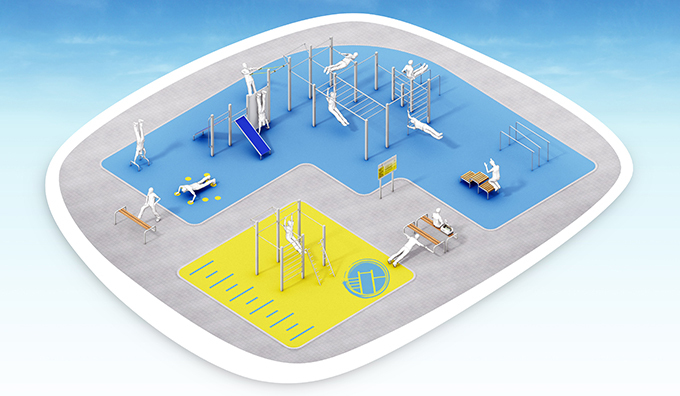 Double incline bench, handstand wall, suspension rings, dips and squat platform have remained, but two instead of a handrail bracket. 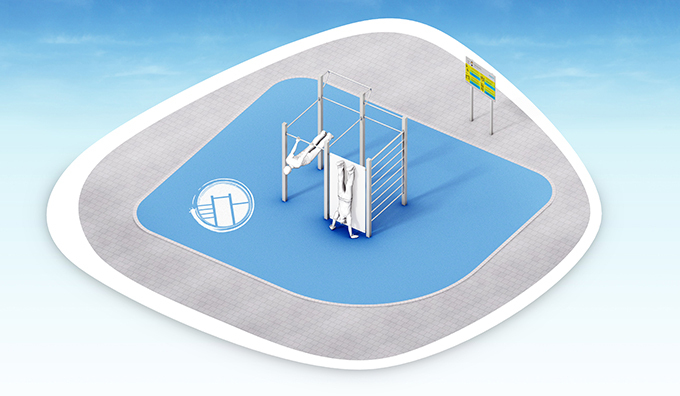 In addition the station Calisthenics-Stand-Ups including Hangelleiter / Monkeybar is included. 3 benches for warm-up and resting are also included. 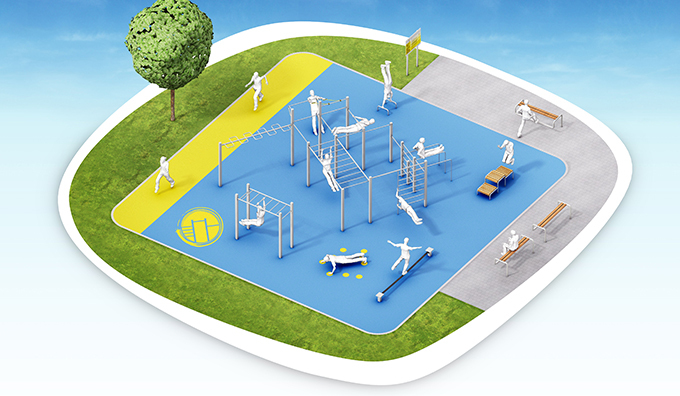 The professional parc for all training possibilities. Calisthenics-Basic-plus Push-Ups, Squat Platform, Double Inclination, Handrest Wall, Suspension Rings, Two Dips Bars, Handrails and Slackline. We also find here the stations of the saddle, the backrest, the situps and the knee bend. 5 benches for warm-up and rest are included. 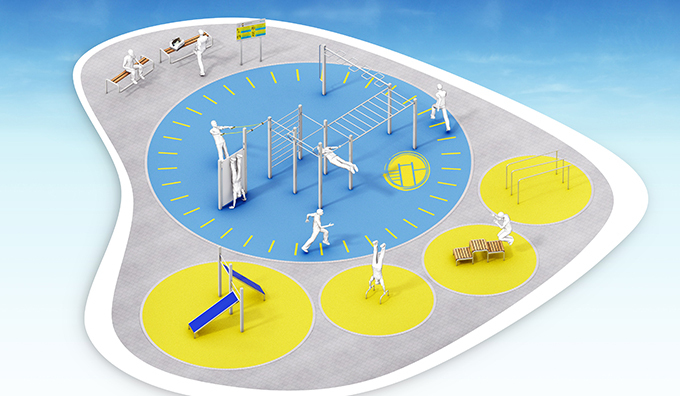 Of course there is also the possibility to exchange individual elements of the system or add additional stations, or devices, so-called add-ons.